Have you ever run into a problem? You just have a good time on the laid-back vacation yet your friends ask for your help suddenly. And the problem is like this: I just happened to hear a fantastic song with an outpouring of beauty and grace on Youtube. I just want to record a song online and listen to it anytime and anywhere. While I am lacked of song recorder software, so could you recommend some great song recording software? Here you could arrive at an answer or get the solution by continuing reading the article below. Online Voice Recorder with its easiness for operation could be widely regarded as the best free song recorder online. 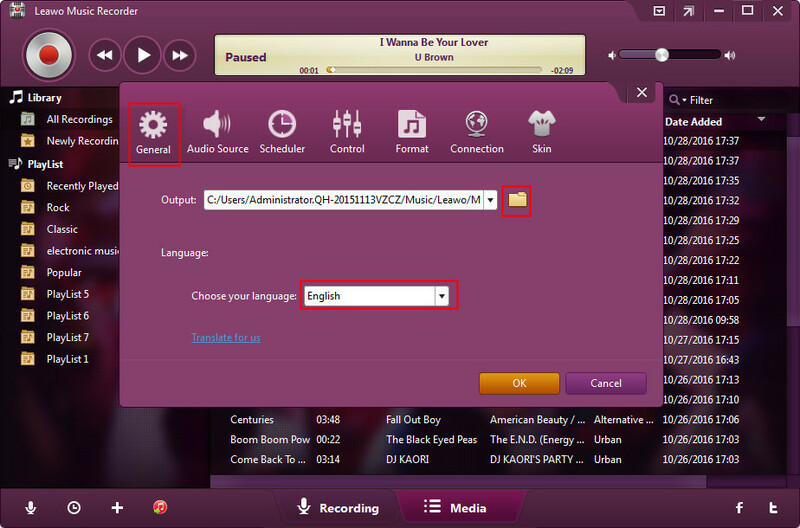 With the useful program, you’re able to record song online right in your browser without the downloading and installing process. Of greater significance, is its powerful editing function that enables you to customize the audio settings like trimming your recordings and cropping the audio to the section by using the standard Adobe Flash Player tools (decreasing echo and adjusting the volume). Here are the following procedures on how to record a song online with song recorder online that could be performed. Users of its interface will seldom be advanced users and should, therefore, be presented in the simple and straightforward interface possible, and the song recorder online does it so. You may need to click the "Change" button and then activate one "Adobe Flash Player Settings" window where you could manage your settings by application of the standard Adobe Flash Player tools (decreasing echo and adjusting the volume). This is followed by clicking the "Close" button to activate another window, on which you need to click the "Allow" button to authorize “Camera and Microphone Access”. Then, this online voice recorder tool would start to record music online, and you need to play back the online music right behind the authorization. On the left side of the interface is the big green "Stop" button where you could click it to stop the recording process, while if you want to restart the process, you could click the "Record again" button. When you stop recording you could view the blue "Save" button, and it would create the recordings by clicking it. After that the recording is finished, you could see the "Click to save" button where you could download the recorded voice, choose output folder and output file name by clicking it. With this Online Voice Recorder, you could easily record any sound online and then save into MP3 format on your computer. It is a free online sound recorder tool for you to adopt. Leawo Music Recorder could be the best song recorder online for you to record audios/voice from online sources and edit your recordings easily and freely. Although there is no "one right way" to implement a software process, Leawo Music Recorder could simplify the procedures with only several simple clicks. Far more than a song recorder to record song online, this Music Recorder is also able to record song on your computer or from microphone. It could even automatically download and add song tags to recorded songs like artist, album, title, cover, year, etc. And of course, it allows you to edit these tags as you like. Before reading the article below you may need to download Leawo Music Recorder for free and install the song recorder online on your desktop. Then follow the below steps to see how to record online a song online. The purple color is part of the visual language of its interface, and you will impart meaning to its use. Here you could be able to click the "Audio Source" button to activate the Audio Source settings window. Here you may need to choose "Record Computer Audio" if you’re desired to record songs online. The step below could also be done in the same settings window. 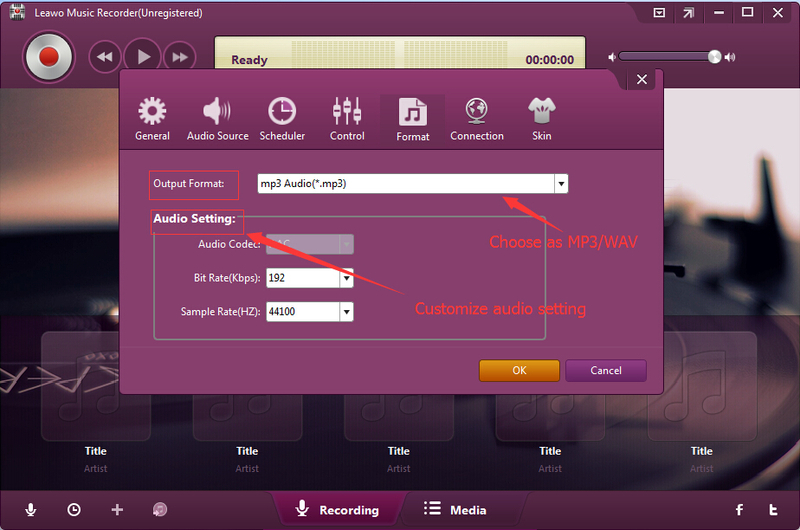 You could choose the output format as MP3 or WAV file as you like under the "Format" tab. The powerful application could also allow to customize the recording settings like Audio Codec, Sample Rate and Bit rate. 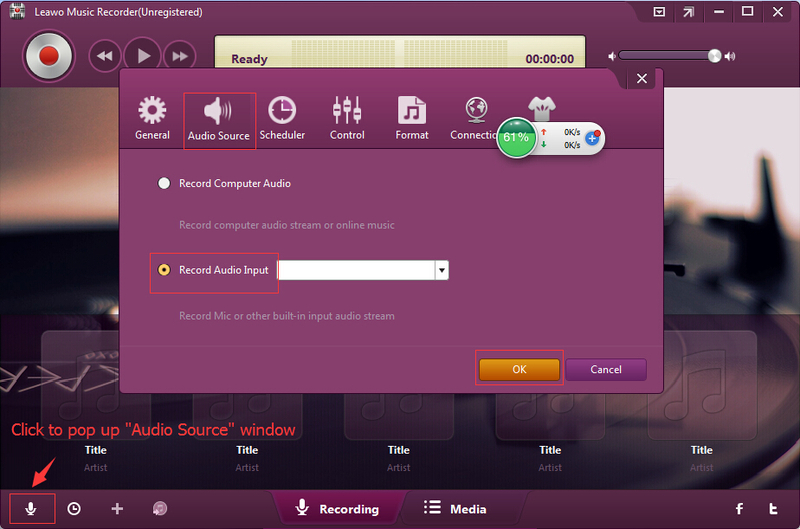 At the first menu on the left is the "General" tab where you could select the output folder to save your recordings. The powerful Leawo Music Recorder also song recorder online could allow you to record songs online with high quality. 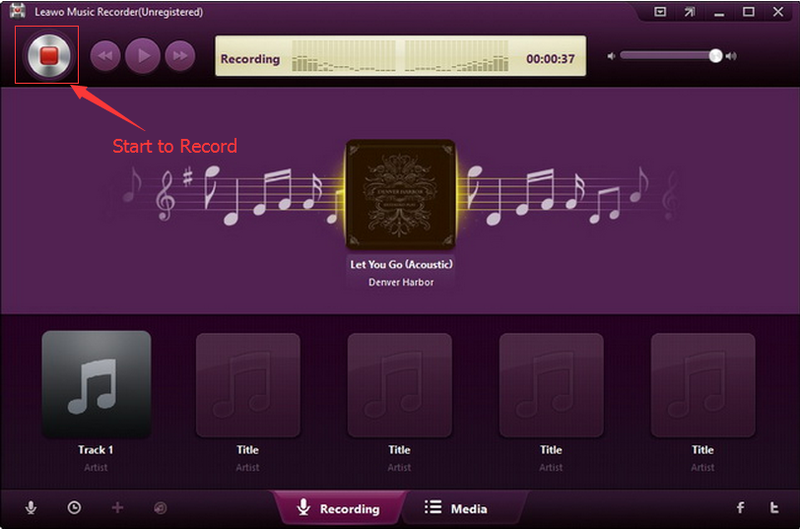 You may need to click the "Record" button in the upper left corner of the interface to start the recording process. And then you may need to play the online music until you’ve finished recording. This onling song recorder can download music info from music database during the recording process. If you don’t feel satisfied with the automatic generated tags, sure you can modify them by yourself by right clicking target recorded music and then choosing "Edit Music Tags" option to edit music title, artist, album, cover, etc. You can also go to the Media Library for more settings. Leawo Music Recorder has a Mac version. That’s Leawo Music Recorder for Mac, which could do exactly the same thing as that of the Windows version, and be compatible with Mac OS 10.6 and later. 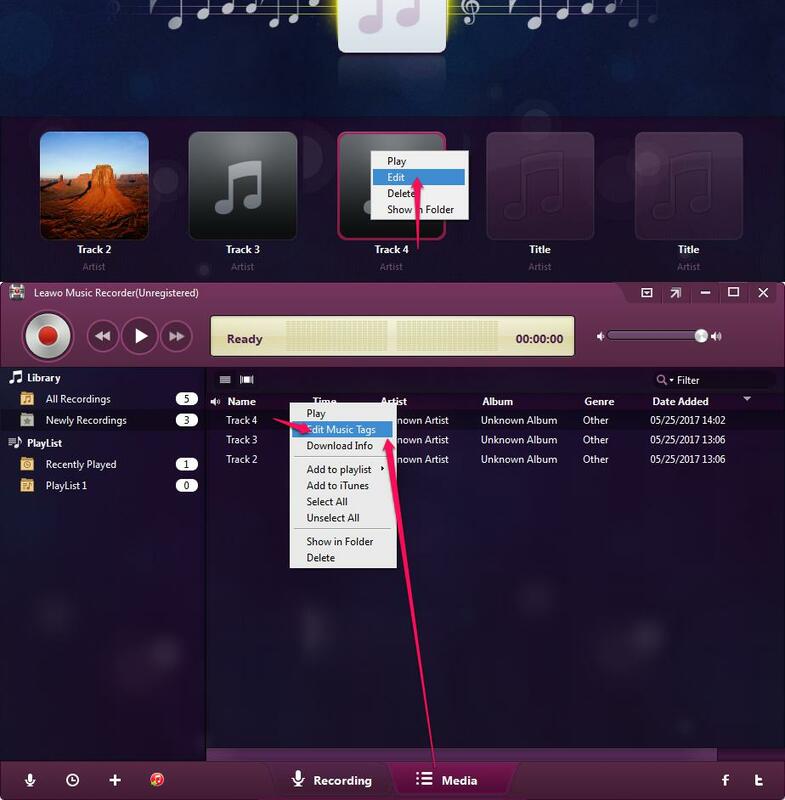 In short, Leawo Music Recorder could offer a greater diversification of editing functions. The great software could be your best option with high performance and price rate. You could record songs online and get the recording songs of exceptional quality. You could enjoy the freedom, joviality and perfect experience in using Leawo Music Recorder which is loaded with its easy-to-use interface and higher recording quality.